23 August 1943: Keel laid by the Tampa Shipbuilding Co., Tampa, Fla.
8k Russell Mills Cox was born in Cambridge, Mass. on 30 January 1919. He graduated from the College of William and Mary in 1940 with a Law degree. He was involved in many activities during his college years. Pi Kappa Alpha fraternity, Men’s Honor Council (Vice President), Men’s Debate Council, Wythe Law Club, International Relations Club, Freshmen Football, Freshmen Basketball and YMCA. Appointed Ensign, USNR, to rank from 29 August 1940, he attended the Navy Supply Corps School, Harvard Graduate School of Business Administration graduating on 27 Feb. 1942. He was then assigned to the New York Navy Yard as a supply officer reporting there 10 March 1942. He reported to USS Juneau (CL 52) 29 May to serve as an assistant disbursing and supply officer and was reported missing in action when Juneau was sunk off Guadalcanal 13 November 1942. 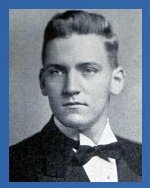 A Russell M. Cox Law Scholarship was established in honor of Russell M. Cox by his father and brother. USS Russell M. Cox (DE 774) (cancelled) was the first ship to be named in his honor. View the USS Russell M. Cox (DE 774) DANFS history entry located on the Naval History and Heritage Command web site.